Our prime objective is to promote computer literacy and the benefits of digital awareness to the general community at large, free at the point of delivery. This will be achieved by volunteer tutors running workshops covering basic computer use through to advanced courses run by partner providers. We will also obtain, provide and record information as and when requested for audit and monitoring purposes. Our world is becoming increasingly dependent on the use of computers and the internet for all sorts of services, from banking, booking holidays, shopping and even making medical appointments with your GP and hospital. 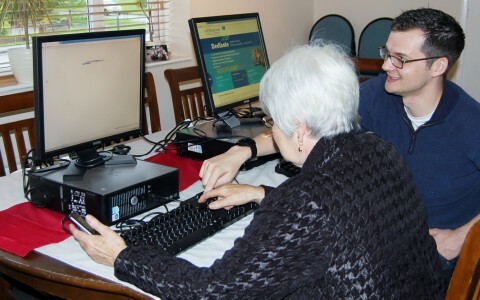 Using computers can also be great fun and have benefits in opening up a vast world of information, knowledge and companionship. They offer convenience, speed of communication via online booking of appointments, using email, Skype etc. Imagine being able to wander around the streets of the world’s greatest cities or speak face to face with family members on the other side of the world without leaving your home, all this is possible by using the computer and Internet. Unfortunately research shows that there are people of all ages (including 5 million older people) within the UK who are unable or unwilling to use computers for various reasons, not being able to use a computer and access the internet can be a disadvantage in our “modern” world. With this in mind WS-PPG decided to set up and develop the Whitestone Surgery Digital Workshop to help and support Whitestone Surgery patients and the wider community by offering the chance to learn basic computer skills and develop at their own pace. Richard Bishop, an experienced IT tutor, produced the template for the tutors delivering the course. We currently have a weekly session on Wednesdays. Why not click here and register your interests. We will keep you informed of future developments. 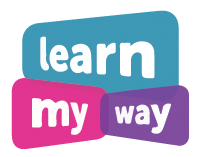 We are currently running a FREE six week basic computer course – Learn My Way, in partnership with Volunteer Centre North Warwickshire and UK Online Centres, click here to find out more. WS-Computer Club tutor Richard Bishop with a student.